England’s concerns about being pushed into Pot 2 for Friday’s draw were not realised but they’ve been drawn into a tough group with Italy, Uruguay and Costa Rica for the 2014 World Cup. England’s campaign begins in Manaus on 14th June when they’ll face Italy. This is the type of opening match that Roy Hodgson was trying to avoid because the heat in Manaus could severely test his players. Facing Italy in the opening match will be just as challenging as they will surely be England’s rival for top spot in Group D. Roy Hodgson’s side will then travel to Sao Paulo to face a Uruguay team featuring Luis Suarez on 19th June and then finish the group stage of the World Cup against Costa Rica at Belo Horizonte on 24th June. The conditions within the stadiums and the opponents England will face in the opening stage of the World Cup finals are going to be tough enough, but the travelling between venues will also take its toll on the players and staff. England are going to base themselves in Rio de Janeiro for the tournament, which means a five-and-a-half hour flight to Manaus for the side’s opening match. The bad news for England fans is that the match will be played at 2am BST. If England are to make any impression on the competition they will have to cross paths with some of European’s elite nations. Spain, the current world champions, have to overcome Holland, Chile and Australia to progress from Group B. In Group G, Germany and Portugal are two European nations who will no doubt make an impression on the 2014 FIFA World Cup. To progress they’ll have to beat Ghana and the United States. 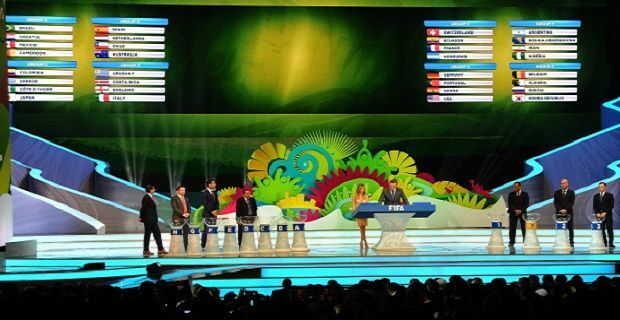 The host nationhave to be consider one of the favourites no matter where the world cup is being held. They find themselves in Group A with Croatia, Mexico and Cameroon.